How do I add player photos to my roster? 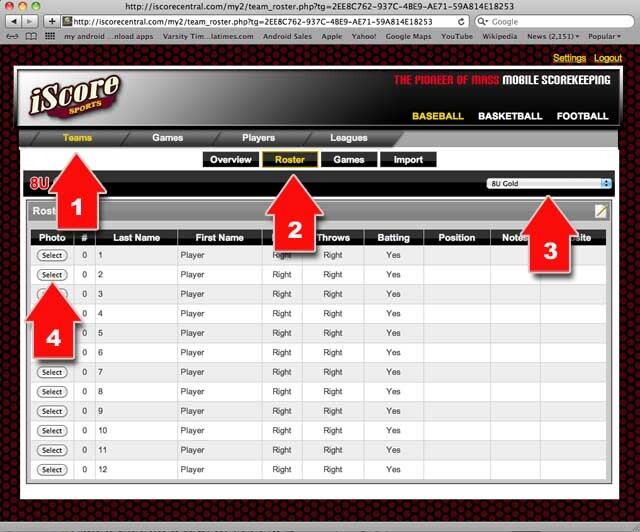 To add photos to your roster, you can add the photos right from iScore on your device by selecting a player, and in the Player Info screen, using the Photo option. If you are using Android, or would rather use a computer to add the photos, you can also log in to the Admin Website (see Options -> Admin Website on your device for information on logging in to the Admin Website). When you are on the Admin Website, if you edit the roster for any team, there is a button next to each player that allows you to add a photo.